It makes great business sense to keep all your customers happy. There is a growing trend of meat-reduction and flexitarianism. This has led to a rise in people seeking out vegetarian and vegan options. When choosing a place to eat, your potential customers will choose somewhere that caters for everyone in their party. By maximising your vegetarian and vegan offering – you’ll boost your business. 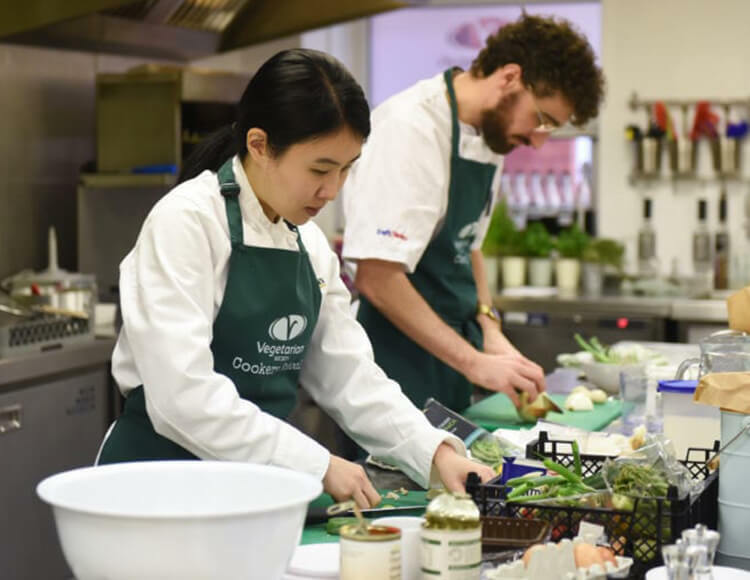 Our week-long intensive Professional Chefs’ Diploma will give you the knowledge and skills to create amazing vegetarian and vegan options – giving you an edge over your competitors. Our blend of expert tutoring, knowledge and a solution-led focus will help you to create your own innovative veggie offerings and meet the increasing demand. £1,679 per attendee. This includes all tuition, ingredients, use of cookery school equipment, lunch, refreshments and a printed recipe and information pack.